A child's, especially your own child's, laughter is the best! It's also so infectious! Kids are so silly and I love it! I learned a long time ago that, with younger kids, if you tell them something is a joke...they're going to laugh because that's what you do at jokes, right? Have you ever heard some of the "jokes" kids tell. They'll be laughing for an hour while one kid says pickle and the other says banana, or something. Anyway, when I was a preschool teacher I had created a list of jokes to share with the kids of my classroom. I don't remember why, but it was really fun! 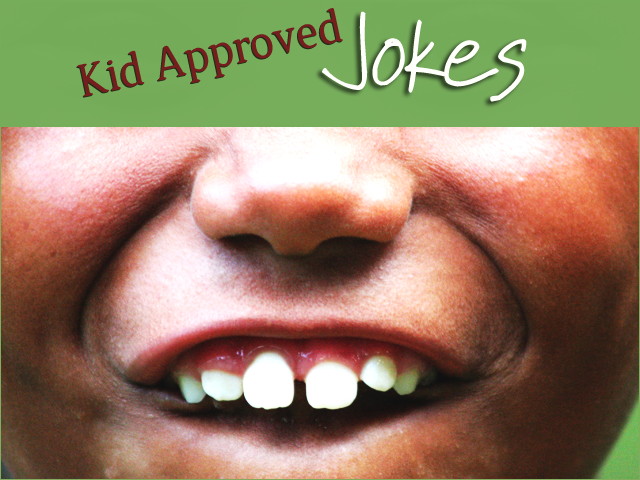 Here's a round up of some fun jokes to tell your kids. What's a nosy pepper do? Get jalapeno business. What makes frogs so happy? They eat whatever bugs them. What do you get when you cross a cow and a duck? Milk and quackers! Why do fish live in salt water? Because pepper makes them sneeze. What bow can't be tied? A rainbow. What do you call a pig that knows karate? A pork chop. Why is six afraid of seven? Because 7 8 9. What's black and white, black and white, and black and white? A penguin rolling down a hill. Knock, knock. | Who's there? | Boo. | Boo who? | Please don't cry. It's only a joke. Knock, knock. | Who's there? | Cows say. | Cows say who? |No silly, cows say moo! Knock, knock. | Who's there? | Tank. | Tank who? | You're welcome! What do you call cheese that's not yours? Nacho cheese! Knock, knock. | Who's there? | Lettuce | Lettuce who? | Lettuce in, it's freezing out here. Phew. This is my catch up post because I missed letter J for the A to Z blogging challenge.